Get inspired. Spend some time looking at pictures of different cuts and colours to see what appeals to you. We recommend finding at least 3-4 images of your ideal colour so that we can work to match the hue. Be honest with your colourist. Our goal is for every client to walk away smiling and excited about their hair. Talk with your colourist about what you want, colours you have tried in the past, your hair care routine, and any big events coming up. We can adjust your colouring process based on what you have liked (and disliked) from past colours. Think about the long term. Hair colour is permanent—it can last for several weeks or months depending on your hair type and length. We want you to love your look from Day 1 to Day 100. Colour requires care. Whether you’re a colour newbie or a seasoned pro, you need to nourish and care for your hair. Our professionals with recommend colour-safe shampoos, conditioners, and styling products that will keep your hair looking tip top for weeks after your appointment. You also may need touch-ups more frequently so follow your colourist’s recommendation for scheduling your next appointment. Ready to change up your look and rock a new colour? 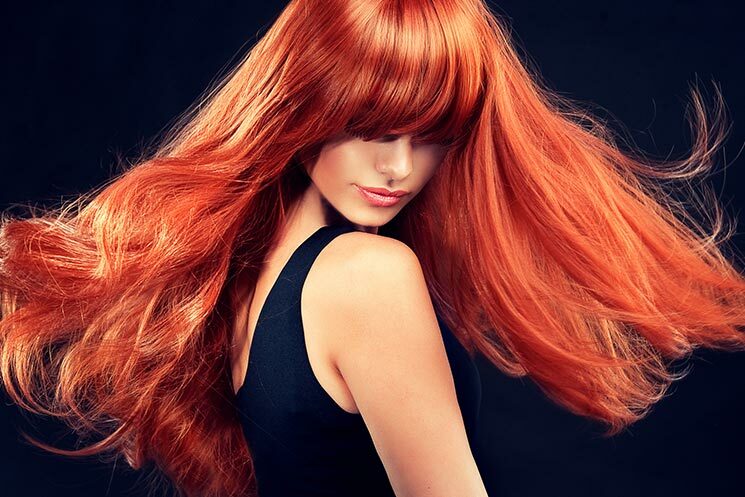 The team at Salon Sleek will create the perfect hue that brings out your true personality. Call us today to make an appointment!